I don't blame you if you're still knees deep in Destiny 2 and God of War 3 Remastered right now. The two titles were both announced as September 2018's free PS Plus games for subscribers, which is quite the haul no matter how you look at it. But, believe it or not, we're already over halfway through the month, and October - with all its big releases - looms large in the background. Sony doesn't normally announce its new PS Plus games until the week before they're due to release on the first Tuesday of the month, but a new leak via Reddit suggests we already know what October's free titles will be, a fortnight earlier than usual. That said, it ought to be taken with a hefty grain of salt, as no one else has reported experiencing the same thing, and while the image has a certain veneer of plausibility, it could easily have been photoshopped by someone who just likes to get people talking. 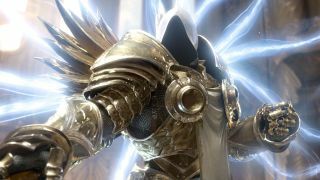 Diablo 3: Eternal Collection and Nioh would be brilliant choices for PlayStation Plus though, the former being Blizzard's acclaimed RPG with all the DLC included, and the latter a Feudal Japan themed souls-like that was so good, it's already getting a sequel. Sony's close relationship with Activision-Blizzard also gives sway to the idea of a Diablo 3 freebee, while slashing Nioh's financial entry barrier would be a nice way of introducing game to the wider audience it's always been deserving of. The more I think about it, the more my fingers are crossed that this isn't just some false gossip. I guess we'll know for sure within the next few weeks. In the meantime, read up on our list of the best PS4 games you can play right now, and see what you've been missing out on.